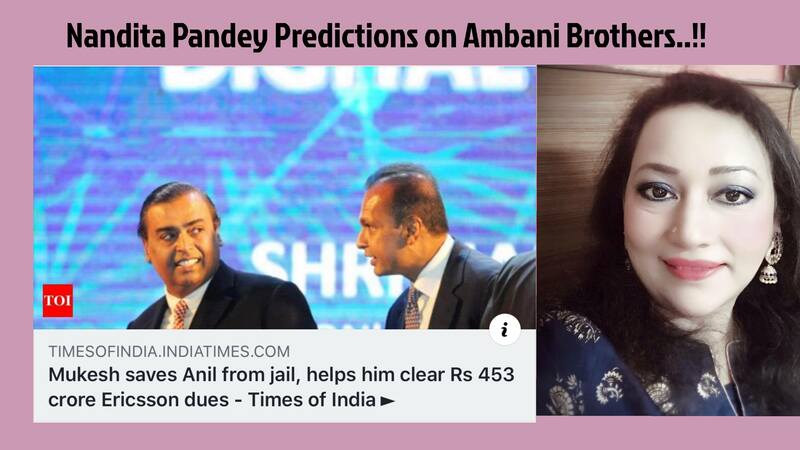 Mukesh Ambani bails out Anil Ambani by paying up INR 453 Crores… Had predicted their coming together in ZEE Business in 2011 & in Sahara SAMAY in 2007. The predictions were made on the 31st October 2011 in “ZEE Business” news channels , Diwali Year Ender programme and had said that by the end of 2011, there will be an elderly person and a religious leader who would be instrumental in bringing them together and after that they will subtly and slowly strengthen their bonds…. However, had also mentioned that this would just be the beginning and though initially, they might sometimes enjoy cordial relationship and sometimes undergo cold relations in between them…. Previous page Previous post: Rahu/Ketu transits to Gemini/Sagittarius .. click here to check on how this transit impacts your life in the coming 18 months….